You’ve just gotten home from work and changed into relaxing clothes. Nothing would beat the refreshing taste of a well-made margarita. Plus, learning how to make your own margarita that can compete with a bar is a useful life skill. Dedicated to making fresh handmade cocktails, Chevy’s wants to help you take your drink mixing game to the next level. Here are some of the essentials you’ll need to make a margarita at home. It’s a pretty standard idea—if you don’t have the correct equipment, making a great margarita at home will only be more difficult. In order to curate an authentic margarita, you’ll need a margarita glass. Not only do these glasses feature a signature silhouette, but they also fit well with margarita cocktail glass rimmers. 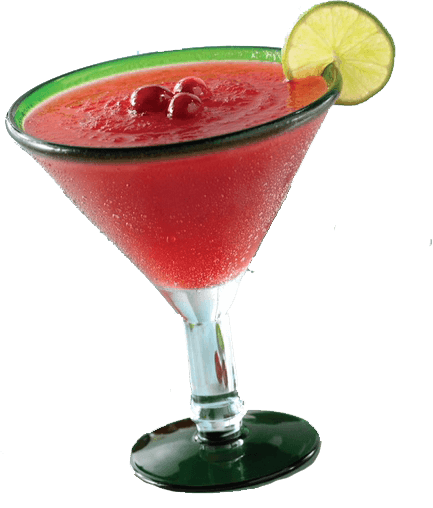 Therefore, if you enjoy margaritas with a slushy consistency, you’ll need to find a blender. While not necessary to the margarita creation process, there are several accessories to help you craft the perfect margarita at home. Handheld juice squeezers are made for extracting as much juice as possible from your limes or lemons. Using a cocktail bar shaker promotes a uniform blend. Not to mention, it will make you look like a pro. A classic margarita recipe uses only a few ingredients. Most include a tequila, orange liquor, fresh lime juice, ice, and salt for the rim. Although there are plenty of variations to this formula, know that more ingredients won’t necessarily make for a better-tasting drink. For the most part, what makes the margarita so tasty is the blend of a few key flavors. Finding the right rhythm and motion in making a margarita is a challenge. However, there are a few simple tips to keep in mind. You’ll want to focus on the amount of water in your drink as you add the ice. Because shaking will break up your ice and add extra water, it’s important to find the right amount of shakes. Additionally, it’s a good idea to salt the actual drink, not just the rim. This helps temper the sour bite of lime. If you’re interested in tasting a restaurant-quality margarita, stop by Chevy’s. With locations in Annapolis, Arundel Mills, and Brandywine, we are your local option for fresh Mexican cuisine and quality cocktails. Place an order online today or give one of our restaurants a call for more information.